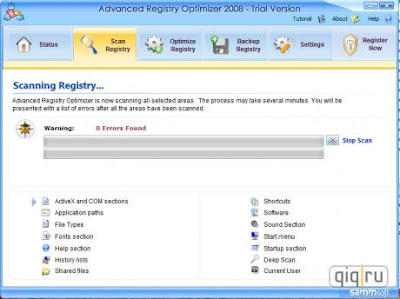 Advanced Registry Optimizer can Fix PC problems and prevent them from happening again. It is the easiest way to keep your PC running cleaner, faster and error free. 1. System Files backup and Restore With Backup and Restore tools you can backup your system registry and restore it in case of System Failure. 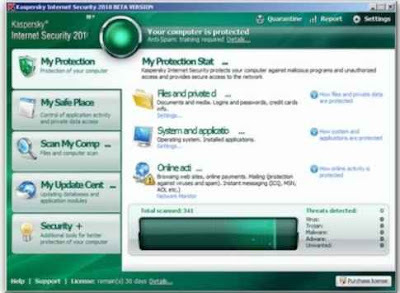 Thus you can always revert back to last good configuration and minimize the chances of viruses and bad installations. 2. Registry Cleaner and Optimizer Registry cleaner cleans the windows Database Registry for invalid information such Invalid Fonts, Activex and COM Sections, invalid File Information, Auto-Run sections, DLL and Help sections for invalid entries. It reduces overall errors and improves efficiency. 3. Registry Defragger and Optimizer Registry defrag optimizes registry by removing fragmentation, deleting unused entries and compacting the registry. After Defrag registry is contiguous, re-indexed for maximum speed. Aston desktop enhanchement is a new Desktop and Shell replacement for Windows 98/2000/XP/Vista. It replaces the standard Windows Desktop and provides you with a host of new features, such as Sidebars, clock, weather monitor, animated buttons, transparency effects and much more. Aston also supports Themes, which allow you to change its appearance and functionality according to your mood and needs. No matter what visual style you like: XP, Aqua or something else; you can always download hundreds of Themes, created by professional designers or amateurs from Aston's homepage or one of numerous other skin sites. Aston features a powerful and user friendly interface, which lets you change your new desktop's appearance and behavior in few seconds. No need to learn complicated configuration files, everything can be configured in a simple graphical interface. A great balance between performance and appearance allows you to launch Aston even on out of the date PCs or its enjoy many advanced features on more modern computers. Aston is very stable and has a small memory footprint and low CPU usage, so you can free your processor time for other tasks. 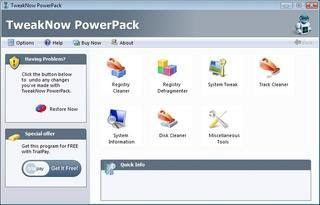 TweakNow PowerPack is a fully-integrated suite of utilities that let you fine-tune every aspect of your computer´s operating system and Web browser.The RAM Idle program manages the free memory that is available to run Windows programs. It prevents performance from degrading as you swap files and programs in and out of memory.The AutoShutdown program lets you suspend, hibernate, or shut down your computer after a specified period of time. In addition to saving resources, this program keeps your system more secure by making it unavailable to unauthorized people. 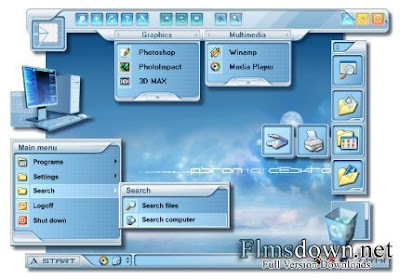 The CD AutoRun is an extension of Windows´ CD and DVD autorun features, giving you additional options for starting programs or listening to music. The Virtual Desktop program lets you run as many as four custom-designed desktop configurations simultaneously, allowing you to tailor your computer screen to your mood and your work requirements. The suite gives you a complete picture of all aspects of your computer´s hardware, including detailed information about your motherboard, processor, video card, memory, hard disk and network. Registry Easy™ is an excellent Windows Registry Cleaner that scans your PC and safely cleans errors & invalid entries that cause system slowdowns, freezing and crashing. Registry Easy™ repairs registry problems to make your computer run like new again!